John Hyde, better known as “Praying Hyde” was born in Carrollton, Illinois. His father was a Presbyterian minister who faithfully proclaimed the Gospel message and called for the Lord to thrust out labourers into his harvest. He prayed this prayer not only in the pulpit but also in the home around the family altar. An indelible impression was made on young John as he grew up in this atmosphere. John graduated from Carthage College with high honors and was immediately elected to a position on the faculty. 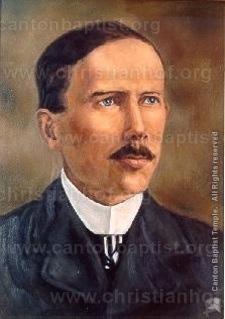 John Hyde was all these and more, for deep in India he sought the Lord, and the strength of meeting his Master face to face prepared him for missionary service. Often he spent thirty days and nights in prayer and many times was on his knees in deep intercession for thirty-six hours at a time. His work among the villages was so successful that for years he led four to ten people a day to the Lord Jesus Christ.